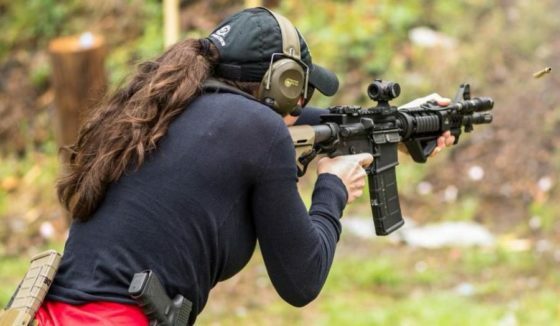 As the government seeks to regulate guns further and make it increasingly more expensive and cumbersome to legally own a gun, armed citizens spent the first month of 2019 proving weapons of any kind are basic human rights. Any regulation of a citizen’s defense weapon should be seen as a human rights violation: and their rights are being destroyed by their own government. But many enjoy taking basic human rights away from others and won’t stop until we are all wholly enslaved to the political elites. Whether these people are useful idiots or misguided illogical immoral fools is really the only debate left. According to The Daily Signal, gun ownership surveys routinely find that about 1 in 3 American adults personally own firearms, meaning that tens of millions of law-abiding citizens regularly choose to exercise their Second Amendment rights. Recent surveys also indicate that 60 percent of these gun owners possess firearms primarily to protect themselves and others from crime. But the whole reason the founding fathers wrote the second amendment down was to prevent any government from taking away the basic human right of self-defense, and that includes immoral acts committed by the government (like taxation or civil asset forfeiture, also known as theft). These are still immoral even if the government does them and a majority supports it. Individuals carry out these actions are responsible for the orders they follow. For a few short stories about how Americans used their human right of self-defense to protect themselves or others in the month of January, read the Daily Signal’s article by clicking here. The exercise of Second Amendment rights in defense of self or others is not a rare or extraordinary event, but a daily occurrence in the lives of ordinary Americans doing ordinary things. However, most don’t use it in defense of the government. But there could come a time when it is necessary. And that’s what makes it a basic human right. No one should ever be enslaved to the point that they have to die or be stolen from. We’ve already seen what can happen when Nazi’s take over and a nation succumbs to complete socialist rule. Not to mention how brutally bad the democide is when communism takes a hold.